The Elf played at their second home this week, at Rushall against annual opponents and great lads Lichfield Nomads. Rob Hewlitt came second in the toss and was asked to bowl first. Two members of the Rushall ‘youth’ (not a football firm) Dan Armstrong and Dan Dunn bowled the first 12 overs exceptionally well, both picking up a wicket a piece and restricted the visitors to 27 runs. Usual first change bowlers Tom Davies and Chris Hall came on and Davies got a dolly of a caught and bowled in his first over to keep the pressure applied. Davies picked up another wicket and by the time the two seasoned campaigners came off in the 24th over the Elf had Nomads 49-4, then, the wheels came off. JP, the ‘sheriff of Dottingham’ got a bit of tap from the best batsmen the opposition brought with them ‘Hutton’ who managed to get himself a 50 with a couple of big sixes to boot. In amongst that, Rushall regular Nick Denant kindly helped out with 6 overs of right arm medium, Denant picked up two wickets for 23 runs in a good debut effort. Davies and Hall came back on with Davies getting Hutton and a lower order batsman to finish his eight overs 4-19 although it was not enough to restrict Nomads to a chaseable total, their 139 looked a little out of reach. 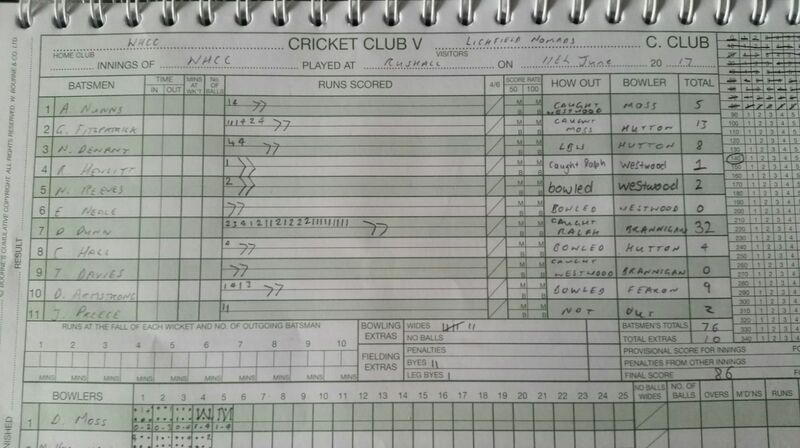 After the lads devoured a fine tea put on by Rach, Gail and Mrs Gort (seriously, it was good) Alex Nunns and Gary Fitzpatrick opened the innings and really set the tone in the wrong way by scoring eighteen between them, Fitz getting out to a top catch at short fine leg. Nick Denant scored eight on debut but Rob Hewlitt, Nath Reeves and Euan Neale managed 3 between them in the middle order leaving the bowlers exposed after the score had barely reached thirty. Chris Hall smashed a boundary before leaving a straight one (a la Simon Jones to Michael Clarke in the 2005 Ashes) and the Elf were staring down the barrel and 37-7. Tom Davies came out and batted like a Theresa May lead election campaign, a shambles, and was out for his first quack in Elf colours. The bright spark of the afternoon then happened in a top partnership between Dan Armstrong and Dan Dunn who put on 35 for the ninth wicket until Armstrong unluckily played on for 9. 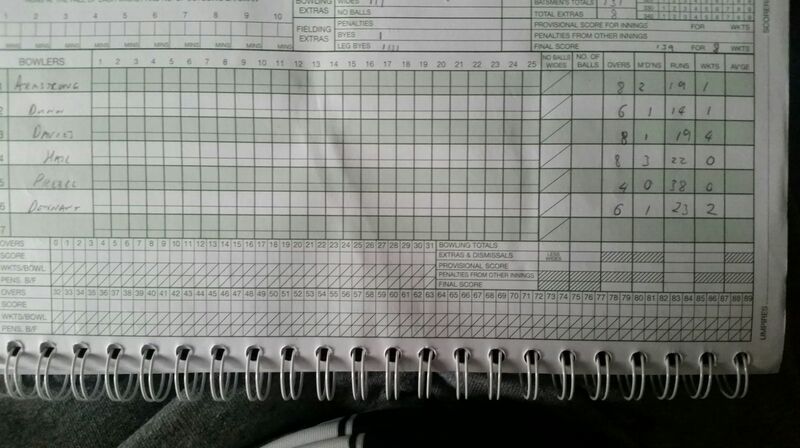 JP came out and got another red inker before Dan Dunn nicked off for 32 very well made runs. The first loss the Elf have suffered in nine games which is something not to be sniffed at but the boys were certainly not very upbeat in the bar after. They were all certainly looking forward to nets commencing this Thursday to get some extra practice before Beaumont visit Aldridge next week. Drinks this week were made (and brought out I hasten to add) by Nunns junior and Nunns junior junior to keep the lads refreshed in the early summer wind. Teas this week were certainly of the higher class. A top effort from Rach, Gail and Mrs Gort. An abundance of sandwiches on white and brown bread, chicken nuggets, pizzas, quiches, scotch eggs, the lot! Essentially, it was a bostin tea finished off with an exceedingly good Victoria sponge. 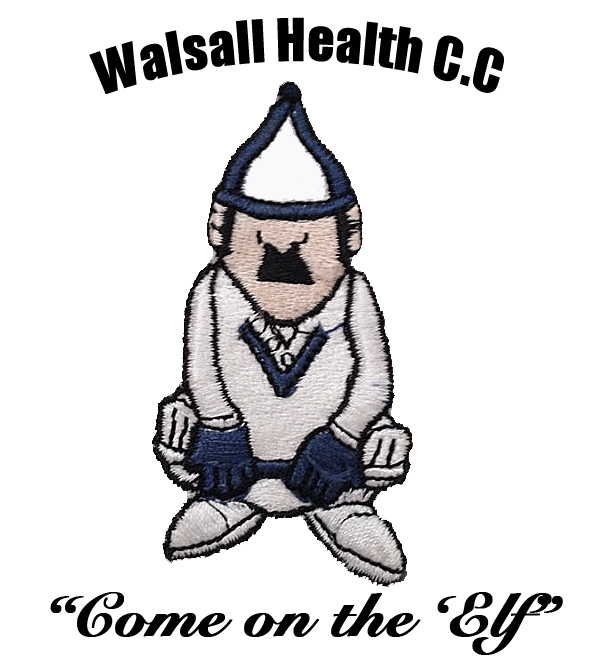 Along with not batting, Tom Davies committed the most village of errors by forgetting his towel and wash bag which certainly ruined his mood after getting a quack. On past experience the showers at Rushall are usually warm but cosy at the same time, something the lads would never usually moan about.